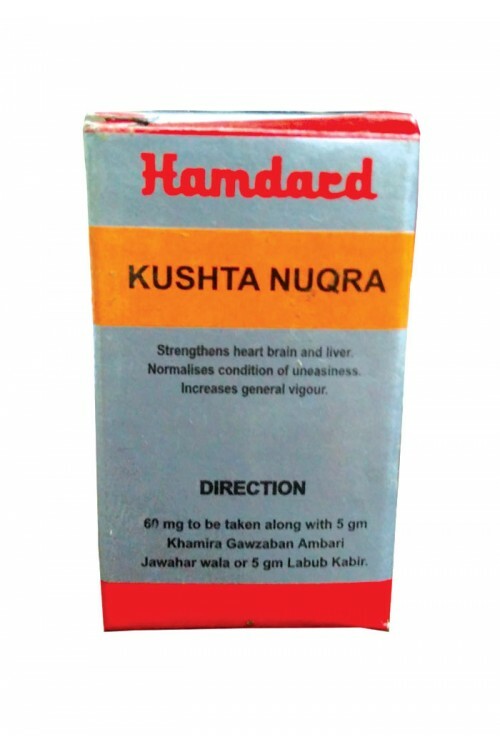 Strengthens heart, brain and liver, normalizws palpitation and condition of uneasiness, increases sexual urge. 60 mg or 2 tablets, to be taken with 5-10 gm. Of Khamira Gawzaban Ambari Jawahar Wala. 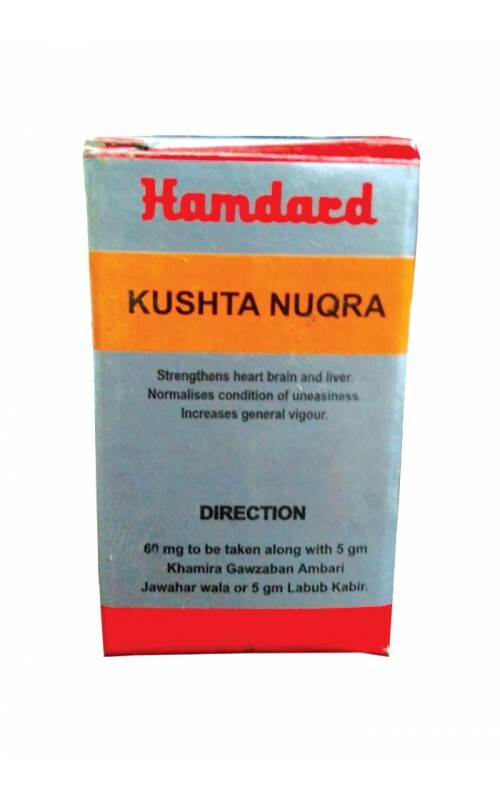 pack Size : Kushta - 1 gm, Tablets - 20 nos.